Whether its a white paper that helps your prospects solve a nagging problem, or a special email notification of a “secret” sale, when a customer sees something from your company in their inbox, there are two things that can happen. One, the customer will be attracted and enticed by what you have to say, or two, your email efforts will go on a one-way trip straight to the trash bin, or even worse, flagged as spam. So how do you keep your email reputation clean and effective? 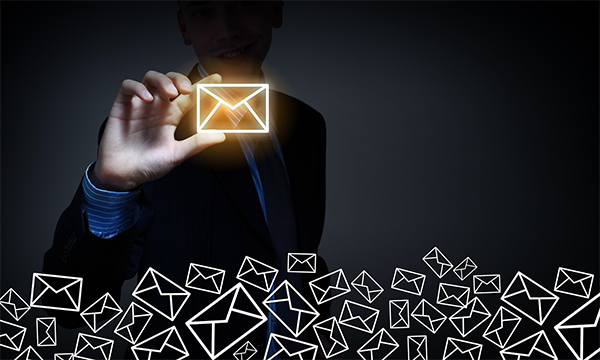 Believe it or not, there is one sneaky little trick that every successful business email creator knows: It is all about the marketing email subject line. This is the one-liner that shows up when a message arrives in an inbox and is potentially the only chance you have to make the best impression. There are five easy-peasy ways to make sure that the subject lines of your business emails are effective enough to encourage your customers to take that next step and click to open because they want to know what more you have to say. If you really want to catch a reader’s attention, talk to them like you would a valued, well-known customer. Head the subject line with their first name or even mention their location. You want to exude a familiar tone that comes across as personable and personal. Don’t continually use the same subject line in your emails, no matter how tempting it may be or how logical it may seem to do so. Offer something more interesting by changing the email subject line to reflect what you are going to offer once the email is opened. Remember, you may have more than enough space to get into great detail in the subject line on your end, but when this mail hits a customer’s inbox, there is a pretty good chance that they will only see the first several words. So, keep your message short and sweet. You probably know that there is a voice you should use indoors, but there is a voice that is reserved specifically for email subject lines that make you an effective communicator. This voice is low-key. This voice is not screaming in ALL CAPS and does not come off sounding like you are an over-excited car salesman who is desperate to make a sale. You should be leaning more toward the same voice you would use if a customer were standing right at your counter, which would hopefully not be yelling or filled with too much excitement. At Hatchbuck, one of our core values is “Do the Right Thing.” This value applies especially well to the inbox. Every email you send furthers a conversation, so take each opportunity to be thoughtful, creative and helpful in your subject line and email. When you focus on building relationships, rather than the aggressive sales pitch, you earn trust, respect, and the sales come naturally.